Those sweet desserts are originally from France. They are made with egg whites, icing sugar, granulated sugar and ground almond. It is usually filled with buttercream or jam. Price: The price of macaron is based on weight. Please call to find out. Please place your order 48 hours in advance as Macarons are best eaten fresh, and they will need to be made the day of the delivery. Thank you! 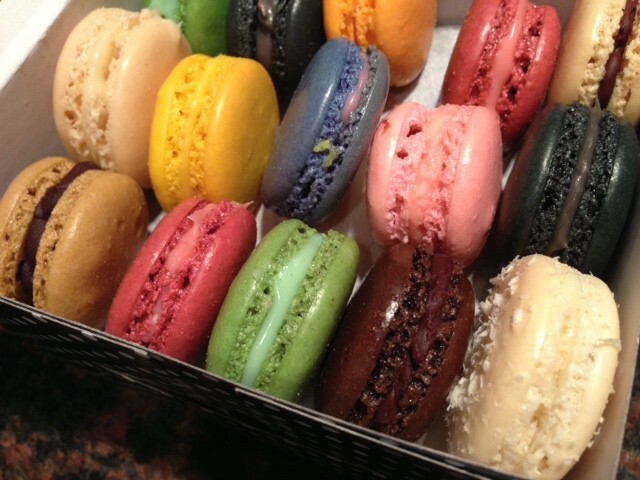 Cecile’s Macarons are out of this world and are a tremendous hit at any party. I highly recommend them. How delicious!! Thank you for making these delicious jewels. What a hit!!! What is the difference in a macaroon and a macaron? 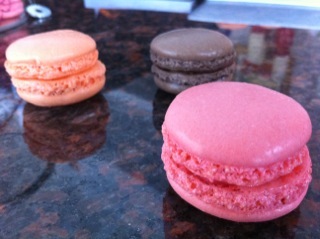 MAccarons are usually made with coconut whereas French Macarons are made with almonl flour, or ground almond. It are originally from France and can be also found in Italy, and Switzerland. The consistancy and texture defers from each country however.